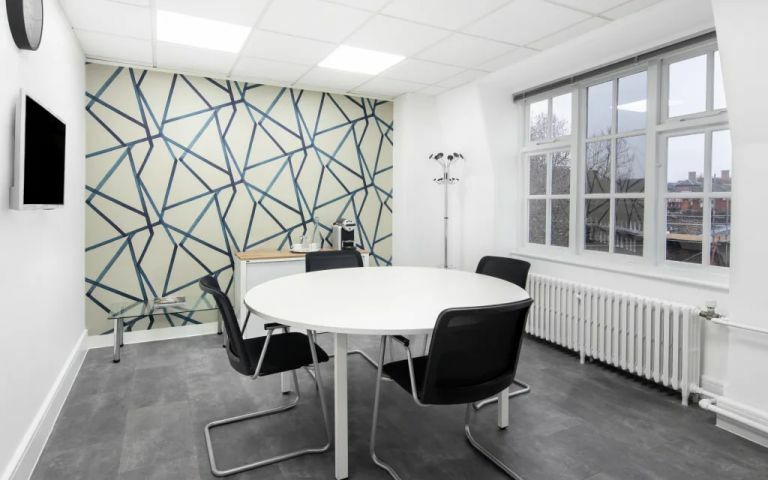 Serviced offices within a period building close to several train stations, situated on the Euston Road. The offices combine many original features with state of the art telecoms and internet to offer first class accommodation. Clients also benefit from 24 hour access, an onsite restaurant and breakout areas in which to relax in. Videoconferencing facilities are available, as well as meeting rooms that can be hired as and when you require them. The reception is manned during business hours and will meet and greet your guests, answer your calls and handle your mail. Further secretarial services can be provided should you need them. The Serviced Offices in Euston are on the north east corner of London's West End. Holborn underground station is located only 5 minutes walk away with Euston Mainline Station being only a 10 minute walk from the Serviced Offices. Easy Offices Where is the nearest place to get lunch near Mabledon Place? Easy Offices Where is the nearest car park to Mabledon Place? Easy Offices Where is the nearest public gym to Mabledon Place? Easy Offices Where is the nearest coffee shop to Mabledon Place?